Jerry was born in 1988 in a zoo in Ostrava in the Czech Republic. At the age of four months, he and his brother Tom were bought by a bear-tamer and kept in a commercial zoo until 1993. Here, Jerrry had to perform in front an audience in the so-called 'bear school'. In 1994, his owner founded a circus called the 'Golden Circus' where the two brown bears served as an attraction. From then on, the bears lived on wheels, travelling across Europe in a small circus car. From 1995, FOUR PAWS tried to free Tom and Jerry from captivity. Finally, following the conclusion of an agreement between the province of Lower Austria, Jaro Franko and FOUR PAWS in spring 2000, the bears were freed. 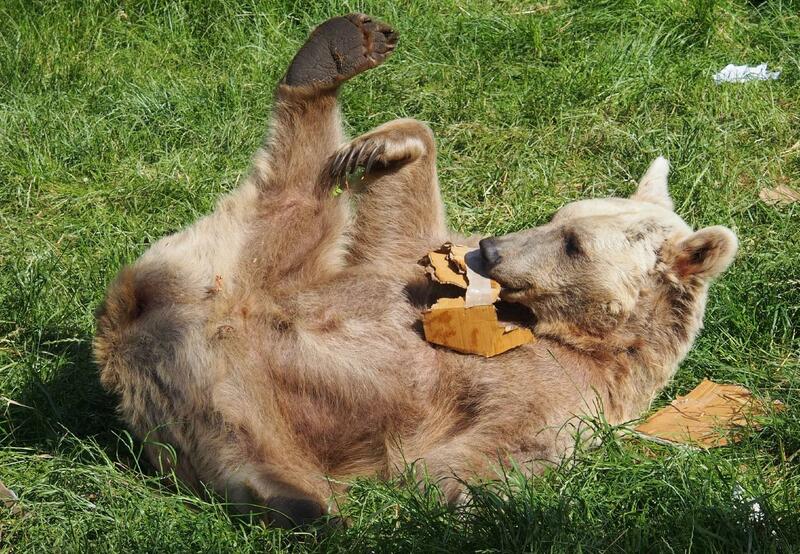 Since mid-September 2000, Tom and Jerry have been living in the BEAR SANCTUARY Arbesbach where they enjoy their favorite pastimes: playing and rattling.